Thai cuisine is also a wonderfully aromatic and harmonious mixture of flavors, colors and textures. Eating Thai food is an amazing experience. 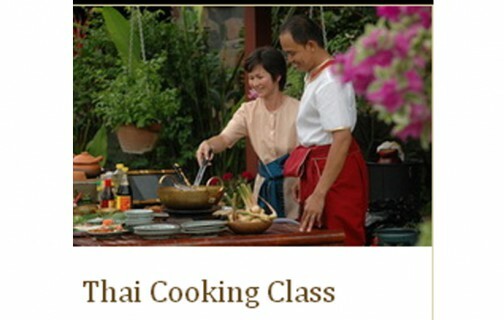 Learning to cook Thai food is all about balance and harmony yet a wonderful introduction to the ancient food therapy, one of Thai secrets to the healthy long-life. 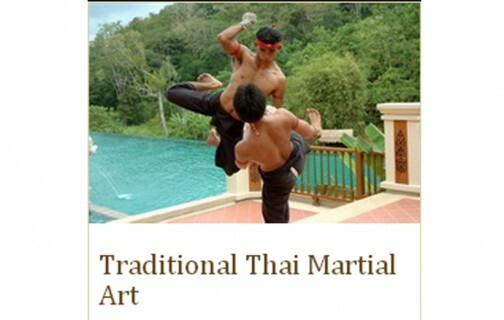 For more than a thousand years, Thai Massage has been practiced with love and care on families and friends to maintain health and well-being. 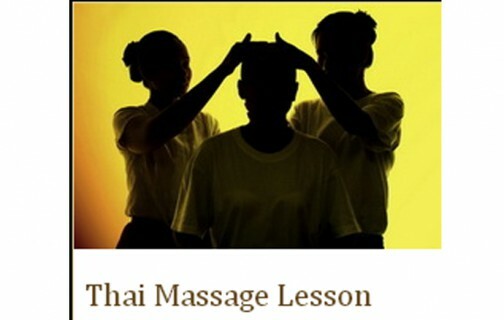 This Thai Massage Lesson is not only about dealing with acupressure points or learning the positions well enough to practice them; it’s also about learning the new way to explore and restore your partner’s body and mind. 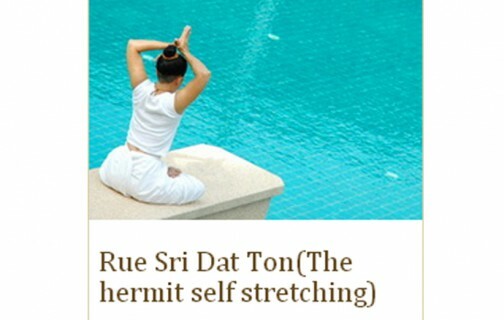 Rue Sri Dat Ton (The hermit self stretching) is a traditional Thai exercise that combines stretching and application of pressure to energy points with breathing techniques and meditation to develop the flow of energy throughout the body. When energy flows and is in balance, health is maintained, youthfulness is preserved, self- healing is promoted and well-being is restored. This also helps to relieve muscle aches and pains and increase vitality and is a gentle exercise that suitable for everyone.